Please join Ward 6 Alderman Lance Davis, the Somerville Capital Projects and Planning department, the Somerville Public Library, and our Design Team to discuss the updated plans for the West Branch Library. For more information, contact Robert Cassano at rcassano@somervillema.gov or (617) 625-6600 x5120 or visit https://www.somervillema.gov/events/2018/01/08/west-branch-library-community-meeting. Wish you could remember the name of that plant, or wonder why botanical names seem so complicated? 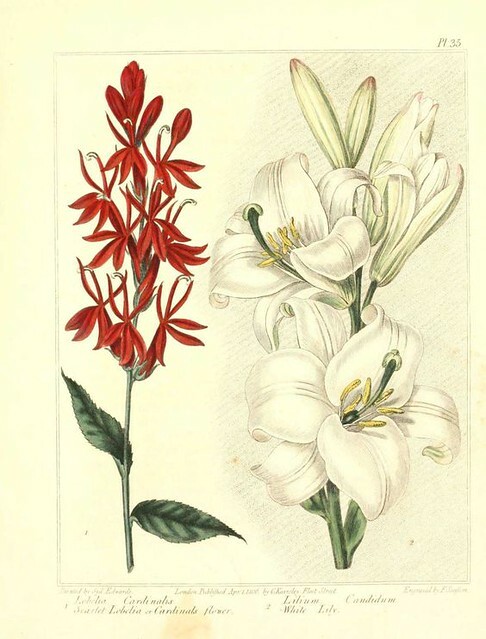 Judith Sumner a botanist and author who specializes in ethno-botany, flowering plants, plant adaptations, and garden history will help sort it out discussing Botanical Names for the Fearful. All Somerville Garden Club meetings are free and open to the public. 7-9pm. Meetings are held at the Tufts Administration Building, (TAB), 167 Holland Street, second floor, wheelchair accessible. Parking is available, and the building is a ten-minute walk from the Davis Square MBTA stop. September 16, 2017 * 9am-1pm in Davis Square * Rain or Shine! 100s of locally grown plants on sale. Discover the perfect plant to enliven your garden or window sill. Don't miss this!, it's been a Somerville Tradition since 1995! 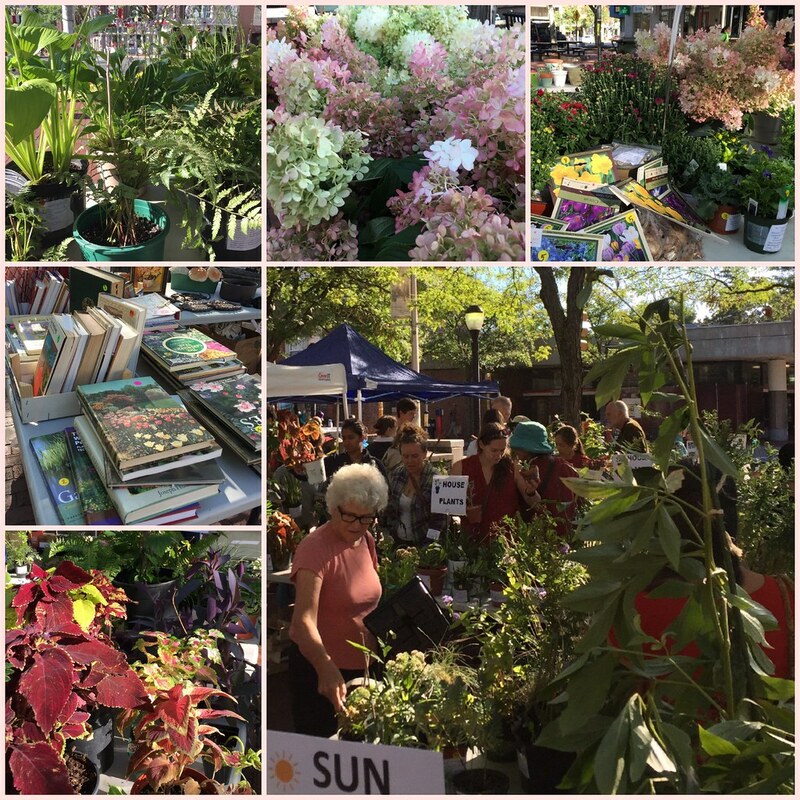 Choose from hundreds of plants donated by both Somerville Garden Club members and community friends of the Club. Visit the Connoisseur Table for that unique specimen or find a tried-and-true favorite. Proceeds benefit the educational programs and public plantings of the all-volunteer, non-profit Somerville Garden Club. Somerville Garden Club Meeting - Movie Night! Hot August evenings are perfect movie nights, so let’s enjoy some air conditioning and watch a film together. 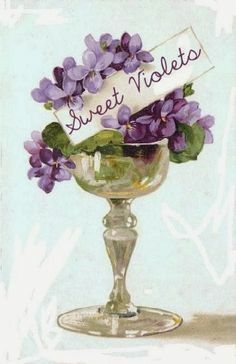 Sweet Violets is a documentary by Tobe Carey that explores how violets came to be the rage during the Gilded Age and how, in the years before WWI, the Hudson River town of Rhinebeck, NY became the violet capital of the world. Includes vintage photographs and postcards, rare film footage, 19th-century music and literature, and interviews with historians and commercial growers. We’ll also discuss our annual Plant Sale. This year it is on September 16th. Club Members: If you haven’t begun potting up your donations, now’s the time. Somerville Community we hope you'll Save the Date! All Somerville Garden Club meetings are free and open to the public. 7-9pm. Meetings are held at the Tufts Administration Building, (TAB), 167 Holland Street, second floor, wheelchair accessible. Parking is available, and the building is a ten-minute walk from the Davis Square MBTA stop. Professor Jessica Lubell will give a presentation on native shrubs that are adaptable to tough conditions — such as the readily available Rhus and Juniperus, as well as lesser-known taxa like Aronia, Diervilla, Prunus, Myrica, Corylus, and Spiraea. She will discuss her wide-ranging research on this subject, including controlled studies on the adaptability of native shrubs, and improved methods of nursery propagation to increase the availability of native taxa. This talk will be enlightening to all who landscape with natives. Dr. Jessica Lubell is an Associate Professor of Horticulture at the University of Connecticut, with 15 years of experience working with the horticulture industry. All Somerville Garden Club meetings are free and open to the public. In addition to the lecture, there will be the usual Q and A and raffle. 7-9pm. Meetings are held the at the Tufts Administration Building, (TAB),167 Holland Street, second floor, wheelchair accessible. Parking is available, and the building is a ten-minute walk from the Davis Square MBTA stop. Also, Stop by and see us at ArtBeat, Saturday, July 15. We'll be in Seven Hills Park. Big Gardens, Small Spaces, Garden Tour is this Sunday! Cost: Tickets are $18. Ticket holders receive a brochure with a map to the featured gardens. The SGC 2017 Garden Tour, Big Gardens, Small Spaces, celebrates the creativity and variety of compact gardens. Walk through gardens of different styles, featuring shady perennials, colorful sun-loving flowers, statuary, vegetable plots, ponds, bee hives, unusual shrubs and trees, native plants, and interesting hardscaping surrounding Somerville Garden Club member homes, and three of our garden sites. Proceeds support the educational programs and public plantings of the Somerville Garden Club. Day of Event Tickets: Sunday June 25. 11:00a.m. - 3:00p.m., Davis Square Statue Park, opposite the MBTA Davis Square Station. There are some amazing private gardens on this tour! (including mine)! Somerville Garden Club members Dorothy Africa and Eleanor Ramsay will give presentations on the creative use of plantings and materials to mask unfortunate views or brighten up dark areas, in the small gardens typical of many Somerville and Cambridge neighborhoods. Dorothy Africa will present practical ideas for “hardscaping” -landscaping in a hard place – with inexpensive and creative materials. Eleanor Ramsay will present a slide show of how she turned her literal hardscape, an asphalt parking lot backyard, into a shady garden retreat. Tickets for the Somerville Garden Tour will be on sale at the meeting. There will also be the usual Q and A and raffle. All Somerville Garden Club meetings are free and open to the public. 7-9pm. Meetings are held the at the Tufts Administration Building, (TAB), 167 Holland Street, second floor, wheelchair accessible. Parking is available, and the building is a ten-minute walk from the Davis Square MBTA stop. SUNDAY, JUNE 25, 2017 11:00 am. – 4:00 p.m. Rain or Shine! $18. The SGC 2017 Garden Tour showcases the creativity and variety of compact gardens. 21 gardens will be open to ticket holders. 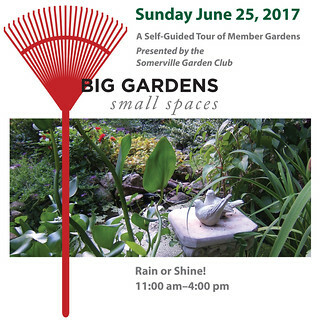 Proceeds from the 2017 Garden Tour support the educational programs and public plantings of the Somerville Garden Club. As previously noted in the community, the four moderators of your community here ( ron_newman, surrealestate, cos, and prunesnprisms) have agreed that the community will be moving to this location at the hosting tool Dreamwidth, beginning May 1. You may create a free account with Dreamwidth here. You may also choose to continue with OpenID from LiveJournal, but as has been pointed out in the comments below there's no single-login connection from Facebook or Google properties. Many of you will know already that this is a similar blogging site to Livejournal, maintained by former LiveJournal team members, and hosted in the US -- here is some recent information for new members posted by the team here. While we don't plan to remove any content that's ever been posted here, we'd like to mark a line in the sand at which point we leave the top post on this community as a pointer to where we are now located. ron_newman has backed up the community twice to make sure all our older posts and comments are preserved. However, there is no way to continuously cross-post the community, and none of us will continue to push new posts over to Livejournal after May 1. In addition we will be removing posting access to this community over the next few days as well. Please join us in our new home! Moderator Announcement: Davis_Square (the community) is moving! As previously noted in the community, the four moderators of your community here ( ron_newman, surrealestate, cos, and prunesnprisms) have agreed that the current state of LiveJournal under its new hosting status and new terms of service are not one we would choose to continue discussion under. Your community will be moving to this location at the hosting tool Dreamwidth, beginning May 1. You may create a free account with Dreamwidth here. You may also choose to continue with OpenID from Google or from Facebook. Many of you will know already that this is a similar blogging site to Livejournal, maintained by former LiveJournal team members, and hosted in the US -- here is some recent information for new members posted by the team here. While we don't plan to remove any content that's ever been posted here, we'd like to mark a line in the sand at which point we leave the top post on this community as a pointer to where we are now located. ron_newman has backed up the community twice to make sure all our older posts and comments are preserved. However, there is no way to continuously cross-post the community, and none of us will continue to push new posts over to Livejournal after May 1. Your team of moderators are open to suggestions about the style of the community on Dreamwidth, as it has not been chosen recently and is probably not as up to date as it could be for mobile or other readability. Please feel free to share in the comments. On a personal note, leaving Livejournal a few months ago, other than this community, was personally very difficult for me as I’ve been using this platform more than fifteen years. I do quite like Dreamwidth and had no problems migrating over. I believe in the leadership team’s statement of diversity and guiding principles. I really hope that those of you who are similarly conflicted about LJ and want to maintain an open community for us to have discussion about just any old thing happening in Davis Square will find us there. In short, Livejournal users are now governed by Russian law, and risk having posts removed or accounts deleted if they don't comply with it. Among other things, "Political solicitation" is now banned, meaning no more talking about Aldermanic or state legislative races. Any discussion of LGBT rights will require the "adult content" label to avoid running afoul of the "Gay Propaganda" laws of the Russian Federation. While moving will certainly be disruptive, in the long run, I think it is essential if this is going to remain a home of free discussion of issues pertinent to Davis Square. I welcome your thoughts on this. Please join Ward 6 Alderman Lance Davis (https://www.facebook.com/lancedavisforward6/) and community leader Thalia Tringo on Wednesday, March 29th at 6:30 P.M. at the office of Thalia Tringo Real Estate (128 Willow Ave) for a meeting to discuss the formation of a Davis Square Neighborhood Council. The intent is to facilitate the formation of a group comprised of and led by residents, property owners, business owners, and other stakeholders that will meet on a somewhat regular basis to discuss issues relevant to the Davis Square community. This initial meeting will an open conversation regarding the initial format for the group -- how it could be structured, how to expand participation, and anything else that might be relevant. Please extend this invitation to any and all who might be interested. elramsay - Somerville Garden Club Meeting - Movie Night! elramsay - Big Gardens, Small Spaces, Garden Tour is this Sunday! prunesnprisms.livejournal.com - Moderator Announcement: Davis_Square (the community) is moving!